My invented holiday is “Pave-the-Way Wednesday”. It happens every year, on the Wednesday after “Give-back Tuesday”, “Cyber Monday”, “Shop Small Saturday”, and “Black Friday”. Luckily, this holiday doesn't require you to spend any money, which is a relief because you most likely don’t have any left given all the previous days of extreme cash depletion. By Wednesday, you’re burnt-out on shopping, online marketing campaigns, people, holiday music and life. Also, you probably feel a little guilty for caving into all of that marketing/commercialization bull-crap. “Pave-the-Way Wednesday” is about reaching out to someone who helped you get to where you are today. You can send them a tweet, a text, a card, an e-mail or perhaps even a phone call if you have that kind of energy left. Let them know you appreciate them, and how they’ve helped you. Keep it simple. Lastly, reach out to someone that you can help. A younger cousin, a struggling neighbor, anyone. You don’t need to help that on that day, just let them know that you care about them and can assist in some small way in the future. You won’t have spent any money (aside from a postage stamp, perhaps) and you’ll have all that positive energy, lost on the previous days, come right back to you just in time to carry through the remainder of the holiday season. 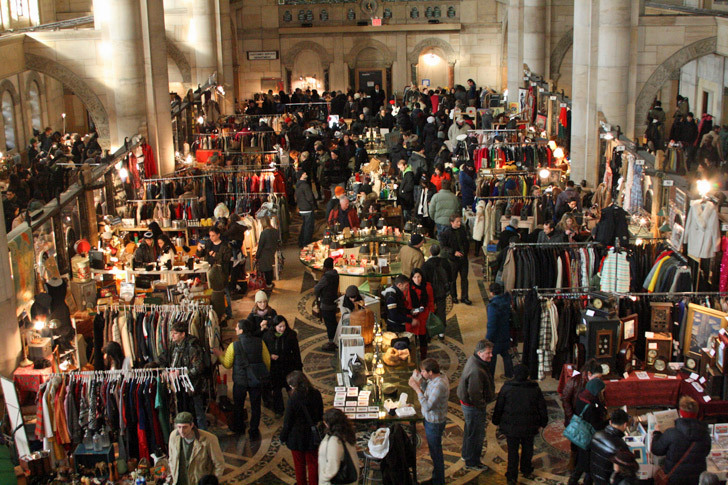 Shopping in Brooklyn is fun, but thanking people is actually fulfilling.